01 May How Much Does It Cost To Make A TV advert? 2017 was an interesting year for our nation, as most people were fixated on the upcoming election in December. So, “what does this have to do with advertising,” you may ask? Many companies spent the greater part of the year in proverbial hibernation, stalling all major decisions, while awaiting the outcome of the election. And in such times of economic uncertainty, companies tend to reduce their spend significantly. One of the first areas in which businesses cut their budgets, are in marketing, advertising and communication. Ironically, this is one of the last areas that one should compromise on though, as it is exactly when the going gets tough, when it’s most important to deploy creative tactics to communicate. The good news is that our new president has just come back from Davos with this message: that SA is open for business. Truth be told; if you watch an hour of news or YouTube, you’ll realise that SA has been open for business all along and that not much has really changed between the previous year and this year, economically. For this reason, I would really like to implore corporates to embrace this positive message and begin crafting communication strategies that places them in a competitive position to leverage the current opportunities for growth. Television is a highly effective medium that should ideally also be included in your channels of communication, as it creates mass awareness and drives your message across to large audiences in a short period of time. It also reaches audiences when they are at their most attentive. Plus, it typically spills over in coverage in other media as well. advertising will be able to see just how well they portray their story and how effectively it speaks to their different audiences and stakeholders. It’s relatable, authentic and creative. But most importantly, it’s memorable. It also clearly conveys the objectives of Tourism SA and reflects the values and personality of the brand in an impactful way. Meet South Africa. Meet Bheki – the Mbhaco Maker. A number of the alcohol companies seem to also start moving in the right direction with their television commercials, by crafting creative content that tells genuine African stories. Introducing The Absolut Art Intervention #BeAbsolut. But let me get back to the original question: “how much does it cost to create a television commercial?! The first step is to conduct a thorough briefing session with the ad agency right at the start, to clarify what your company would like to achieve with the exercise. In doing so, you set a clear deliverable for the ad agency and you equip them with the knowledge they need to create a TV ad that actively drives and supports your company’s goals and objectives. When producing a TV commercial, it is important to first decide who your target audience is, so that you can talk directly to them. This often calls for a thorough research exercise, to ensure that you and your ad agency know exactly who your customers are, what their preferences are, what they look like, who they associate themselves with and what excites them. This way a message can be crafted that will engage and resonate with them. To ensure that you shape the perception of your company and convey the message you wish to take to the market, it’s equally important for your ad agency to understand your brand attributes. This typically requires a deep exploration of questions such as: what truly makes your company different from or better than your competitors and what advantages clients gain from dealing with you. The ideal storyline of your TV ad will ultimately be a sensible mix of content that communicates your brand story effectively, whilst strongly appealing to your target audiences. Once equipped with the relevant information, your agency needs to go deep into the thinking tank to conceptualise the most impactful, creative and effective ways to get your message across to your target audiences. It is important to allow sufficient time to get the creative juices flowing, to not compromise the outcome of the commercial. The agency then needs to package all their ideas and pitch them to you. The “big idea” forms the very foundation that your entire message and television campaign will be built on. As with any innovative concept, this often requires a fair amount of brainstorming, refining and back and forth between your company and the agency. Whilst evaluating the “big idea,” it is essential to also consider how practical and implementable it is and whether it addresses the needs of your target audiences. Many campaigns fail when the “big idea” has the “cool factor” but it fails to actually address a real consumer need or concern. This is where the great idea is strung together in words and the tone, pace and direction of the commercial is determined. This phase is highly challenging, as there is a very limited timeframe to capture your audiences’ attention. So, you need to find the best way to get the message across as quickly as possible and keeping the advert short and punchy. All whilst making sure that the commercial is memorable, informative, useful or interesting at the same time. Storyboards are an integral part of the creative and development process of a TV ad. A storyboard consists of a sequence of drawings and visuals, with some directions and dialogue, to mimic the entire production process and demonstrate what every second of the TV ad will finally look and sound like. Naturally, the story is founded within the “big idea.” By first having such a storyboard, you and your agency can still discuss changes, easily implement revisions, and keep on refining it until you are completely satisfied with the final look and feel of your ad – before going into the actual production. To find the right balance of people to form part of your TV campaign, is an elaborate process that typically requires you to attend quite a few castings. 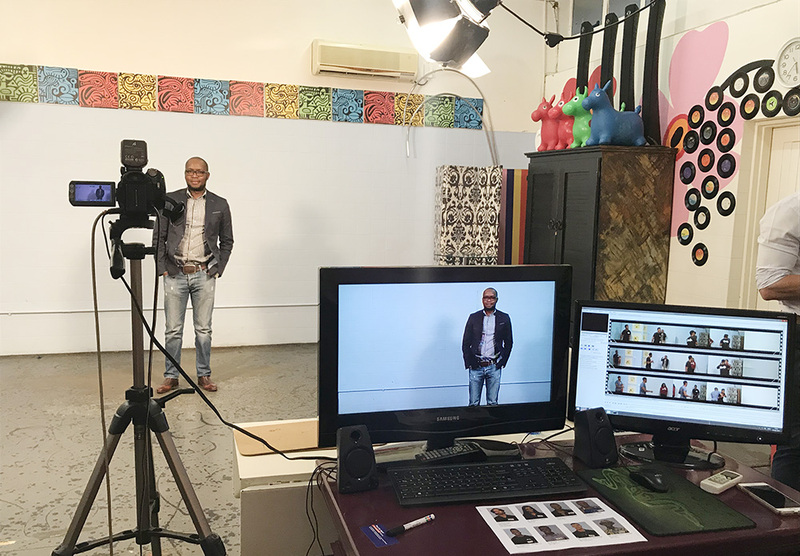 Fortunately, South Africa has a lot of talent and there are a league of professional and experienced casting agencies who can help to expedite the process, should you brief them properly. As soon as you’ve chosen your cast, the next step is to find the right wardrobe, to ensure that you portray the image you want. It could for example be informal and funky, or formal and business-like. Securing contracts with casting agencies is a critical process, as it also addresses the cost of the artists and actors’ usage rights. The usage rights are generally influenced by how well-known the artists are, as well as which and how many channels the content will be used on. Should you for example decide to hire a celebrity for your ad, the “on-screen fee” could easily run into millions, subject to where, when and how often their footage will be used. With the rise of second screen mediums like phones and tablets, it’s therefore critical to interrogate whether your commercial’s primary platform will be television or digital through YouTube and the likes, as this could have a major impact on the costs of your contracts. It is crucial to partner with a production company that understands and shares your vision and that has proven capability to handle all aspects of your commercial, from interpreting the script and storyboard, to coordinating the cast and filming your commercial to satisfaction. Having a trusted, competent and efficient crew is critically important to creating a great commercial. Making commercials is a team sport. You need many people with widely varied skill sets, working together towards a common goal, making the vision come to life. A high quality production requires high quality equipment. 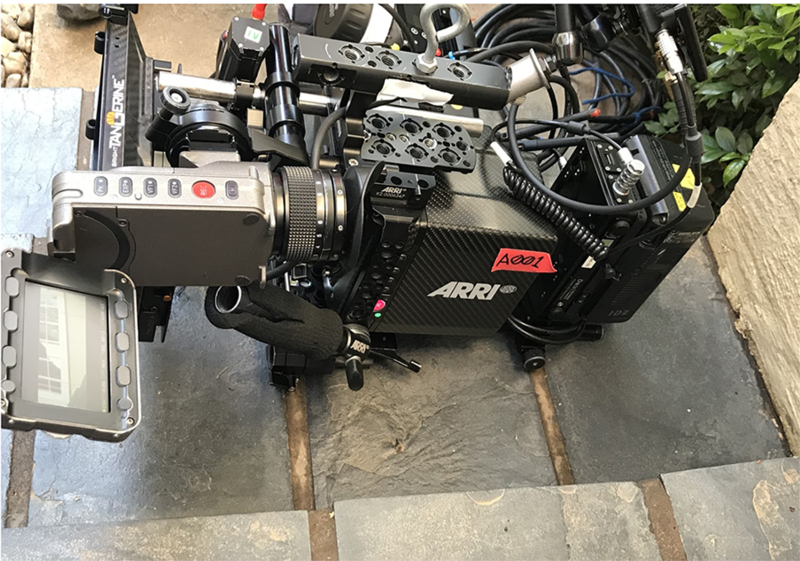 The production company will need to anticipate the full scope of requirements of the video shoot and make sure that they book the right gear for the job in advance. Not only must it meet the technical requirements, but it also needs to remain within the parameters of the budget that has been provided. To lock down the right locations for the shoot, is one of the most difficult aspects of producing a television commercial, especially if you have a tight budget or deadline (or both). Locations can often also make or break your production. Choosing a location without properly scouting, can lead to bad audio, lack of control over the production, or simply create the wrong look. Elements that need to be taken into consideration when choosing a location, include making sure there is sufficient power to supply for the entire production and checking that you don’t have limited timeframes to work within. You also need to make sure that the location meets your insurance requirements. Reason being, that should any natural disaster occur that prevents you from shooting on the day that has been scheduled for it, at least your insurance will cover any financial losses you may have incurred as a result of it – so you can then just move your production to another day. Insuring your shoot is indeed best practise because all the pre-planning in the world cannot foresee all unplanned events. While insurance may seem expensive, the losses you could suffer due to a lack of it, could be far more. For example, if you cannot shoot on the day that you have scheduled, you will still have to pay the entire crew that has been commissioned. Plus a natural incident such as heavy rains could easily destroy your entire outdoor set. These 11 steps summarises most of the steps that one has to take pre-production of a television ad to minimise complications and ensure a seamless production. The actual filming takes place during the production phase of the TV commercial. The director coordinates the shoot using the shot list and shooting script. The talent/actors do multiple takes of the dialogue or directions and actions specified in the script. This needs to be well-coordinated, as the quicker each scene can be completed, the sooner the crew can get off the location, which in turn influences the cost. Each shot needs to be reviewed throughout the process, to make sure every part of the entire commercial is covered. It’s always good to have multiple sets of eyes on the monitors (especially the client’s). 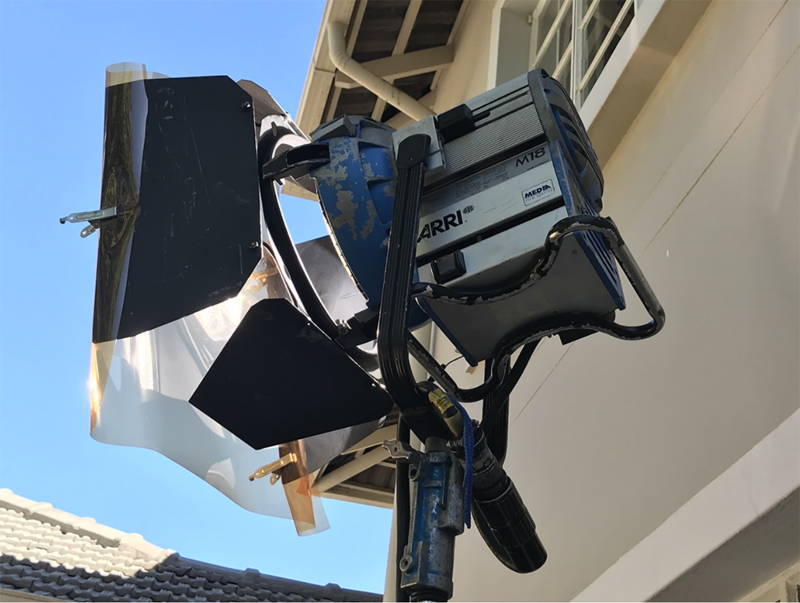 This filming process can take a single day, or multiple days of shooting, depending on the length of the commercial and the intricacy of the script. Before you leave a location, you always need to check (and double-check) that you have every single shot you need, based on the final script and storyboard, as recreating a scene after you left the location will often require that you incur all the same expenses all over again. As you can imagine, shooting 4k/2k raw or even higher resolution imagery these days naturally implies that you are creating a lot of data for every single scene. It is therefore key to frequently backup the media, throughout the course of the shoot. full-time job, especially with such huge files. It is important to make sure all the media is backed up and wiped off the cameras, before it is returned to the camera department! One shouldn’t just look at the file names on a drive either, it should also be spot checked and it needs to be played to make sure that it isn’t corrupted. The last thing you want to happen on set, is to lose a key piece of video that cost tens of thousands of Rands to produce. Not only will this be a risk to the project, but it could also jeopardize the entire commercial. Catering may seem like an unnecessary luxury, until you have 100 people on set for hours on end who are unable to be productive because they are hungry. It is the South African industry norm to also cater for everyone’s religious and special needs, so you may have to for example provide Halaal or vegetarian dishes as well. It’s also essential to ensure that the crew is given reasonable downtime or comfort breaks, unless there is a very urgent time constraint. The use of qualified hair and make-up artists are non-negotiable to ensure that your artists look their absolute best to portray an image of the utmost professionalism in your commercial. This is especially important when you are shooting in 4k/2k/HD, as the skin tone of an artist who has not had the necessary professional touch-ups, will look ashy and unnatural in the superficial light. Security might also seem like a nice-to-have, until you find yourself shooting outdoors in an unsavoury part of the city after dark and your crew’s cars are parked outside with valuables in them. Having peace of mind that their valuables are being looked after, and that they don’t have to drive home in an unsafe area, gives everyone piece of mind, so they can just focus on their job. Editings sounds like a straightforward process, but oh boy, when you have about two – four hours’ worth of content that needs to be cut down to make a 60-second ad, you quickly learn that editors are absolute artists. It begins with revisiting the storyboards and the script, then looking for the best take of each scene and ensuring that each shot works like a 100m relay race, where each shot, angle and visual relate to the other, while the story unfolds logically and naturally. 60 seconds may sound like a lot, but in reality it equates to a maximum of only about 20 visuals that you can push through to the viewer. It is proven that if you use more visuals than that, chances are that the viewer won’t recall the beginning or the middle of the ad. 60 Seconds of airtime on TV is quite expensive, so it is becoming common practise to shorten an ad to 30 seconds, and to then let it rather run for a longer period. With the rise of digital platforms, ads of 15 seconds or those 5-second unskippable ads like you typically find on YouTube videos, are also becoming increasingly popular. All these ads have one main goal in mind: to captivate the viewer’s attention in a very limited time. In most instances, the TV commercial will furthermore be the anchor of an entire campaign that includes ads on other mediums like outdoor, print, radio, activations and digital elements. It is therefore imperative that the editor makes sure that the story is compelling and riveting. It needs to engage the viewer either emotionally or visually. Ultimately, your ad needs to have that “je ne sais quoi” effect on the viewer, otherwise it will just become part of the white noise that no one remembers. With each aspect of post-production being just as important as the other, grading is the one thing that can make a bad commercial tolerable. Personally, I am of the opinion that grading/colour correcting isn’t nearly given the credit it deserves. There is a specific and precise science to the temperature your advert should be. Especially now that most people have 4K TV’s or UHD phones, grading the ad correctly, will ensure that those who are used to seeing their content in higher definition vibrant colours are visually stimulated, even if the content they are watching is not of a very high quality. This being the digital age however, where almost everything is integrated, having a well-scripted ad works very well, as it makes the content suitable for and adaptable to multiple channels. You will find that lately a lot of brands use the same voiceover artist for both their radio and TV ads, and that they convey the same message on all platforms, to ensure consistency and repetition. In such an instance, you should choose a voiceover artist with a strong voice and make sure that your ad takes the viewer or listener on a storytelling journey. Essentially, it is not just the script of the ad that matters, but also what and how the characters convey it to ensure that the message comes across in exactly the right way and that it has the intended effect on the audience. So even though it may be a lengthy process, it is important to find the right talent to deliver your message, as it will be completely worth it when all the elements of the audio are mixed together. In conclusion, there is no specific number or formula I can give you to determine exactly what it will cost to produce a TV ad. Looking at the processes that are outlined in above, you will note that there is a league of variables that influences price. Right through from the location, the actors and/or artists you choose, whether you use celebrities or not, the effects you wish to create, the mediums you wish to use it on, and the duration of the ad, every element, and every second, is attached to a particular cost. In practise, this means that an ad can literally range from R2 million to R20 million or more. A common mistake that many companies make however, is to compare a R2 million ad to a R20 million ad. Naturally, you cannot compare the quality of a low-budget ad with a high-budget ad. But, if you work with an experienced team, who understands the mechanics and dynamics of TV production inside out, you will be able to make the most of the budget you have. In producing an advert upto 200 people can work on the project through different phase if not more, the role of the advertising agency is to guide you along this journey similarly to a tourguide. Imagine landing in a foreign country with no guide but want to experience all the best the locals have in store? You can consult google for each of these services above but you need someone to be a common thread that will ensure all the creatives working on the project are pulling in asimilar direction with a common goal in mind. As a client remember everyone working on this project essentially is working for you so being an agency we put together all the contracts that will ensure this process has the desired outcome at the end of the project, we coordinate the locations, the talent and the equipment that is required to produce a great television commercial. If you give us R1m and asked us to create a world class television commercial will do the best advert we can within our means but you have to remember the benchmark you have set us as ‘world-class’ probably cost R20m if not more to create therefore I would caution usingother brands content as the basis for your own brands television commercial. create an excellent television commercial. Creativity is a unfolding process therefore its value will be determined ultimately by the client. I believe we at BWD Advertising have refined our skills and process to ensure a client achieves their objectives through the process we use to create an television commercial and are able to work with a variety of budgets.